Norwegian is a North Germanic language mainly spoken in Norway. It is also spoken in Denmark and Sweden, and by speakers worldwide. For three centuries, Norway was part of the United Kingdoms of Denmark and Norway. Danish was used for official purposes, while Norwegian remained a spoken language. Following Norwegian separation from Denmark, two official standardised spoken and written varieties emerged. Both are used in all formal and official contexts. The first, Bokmål (‘book language’), is written like Danish but has a different sound system and vocabulary. The second, Nynorsk (‘New Norwegian’) was created as a written language in the 19th century. Most schoolchildren are taught in Bokmål. While the formal written language is the same throughout Norway, spoken language varies according to region as there are many local dialects. Like Danish, Norwegian uses the Latin alphabet, though there are additional vowels specific to Danish: å, ø and æ. There are 9 vowels and 20 consonants. When translating from Norwegian to English, the word count tends to increase by roughly 5% to 10%. In Norwegian as in the other two Scandinavian languages the use of compound words is common; these compound words can only be translated into English by using several words. The length of the source text and the subject matter affect how much the word count increases. Norway’s scenic beauty, fjords and midnight sun are tourist attractions. Many tourists come specifically to see the northern lights, a spectacular natural phenomenon that lights the sky up at night. During the summer months, the sun remains visible at night time, earning the country the title ‘Land of the Midnight Sun’. Norway’s blue saltwater fjords are on UNESCO’s World Heritage List, while 10 of the top 30 tallest waterfalls in the world are in Norway. 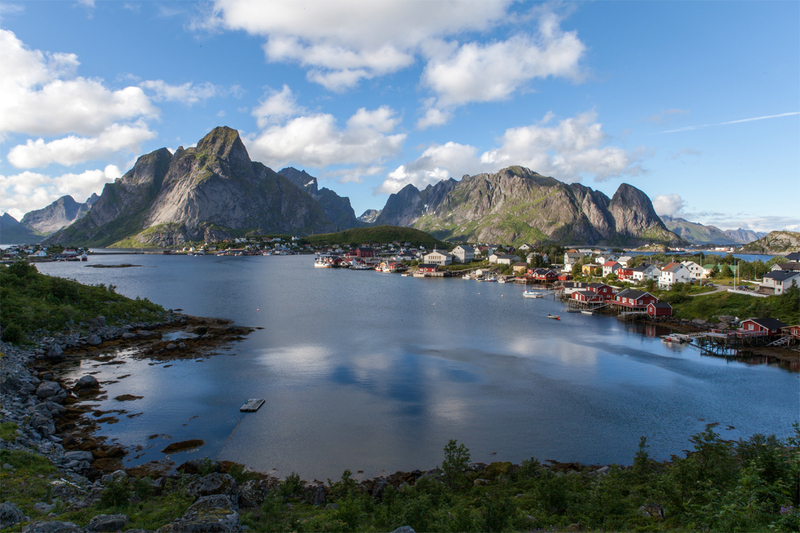 Sporty tourists have the opportunity to hike or ski Norway’s many mountain trails, and go snowboarding or rafting.